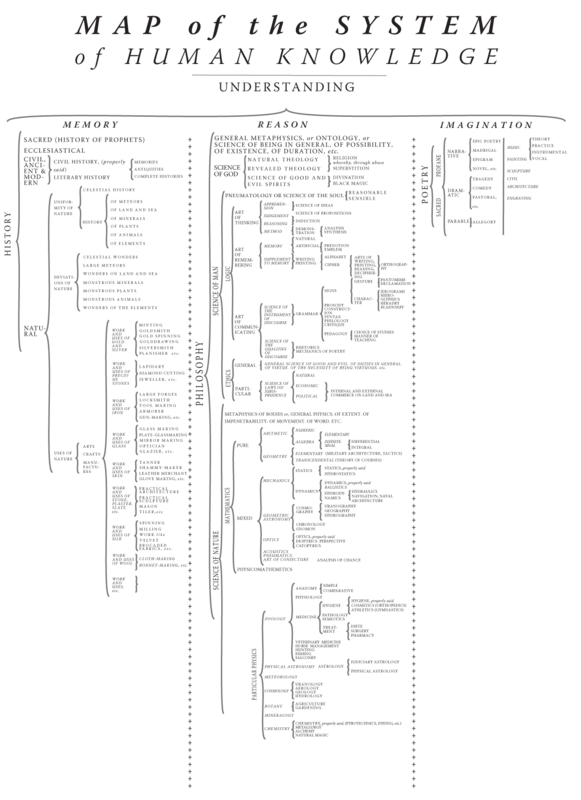 This is the page that will (by the end of October) hold all of the diagrams of knowledge from my upcoming talk about the history of knowledge structures [preprint]. Suggestions of new material are welcome in the comments, and I plan on continuing to update this page whenever I find a new one. 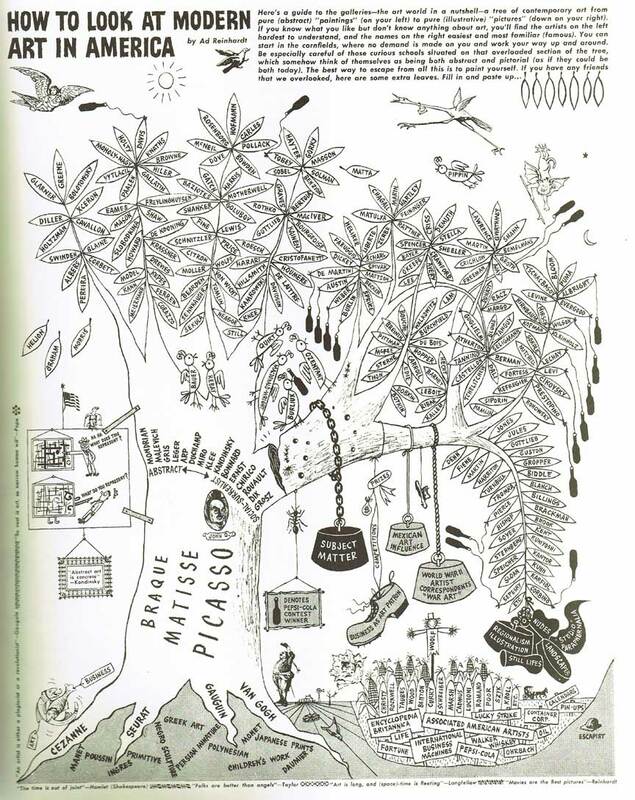 I am particularly interested in non-Western diagrams (and translations if possible! ), of which I currently have no examples. This page will also include short contextual descriptions and commentary, but for now it’s just a placeholder for pretty pictures. It’s worth pointing out that this page is very drafty. Its purpose is to provide examples of illustrations for a forthcoming talk, but it is also quite preliminary, and I haven’t yet done the scholarly work of going back to double check all the original sources. Caveat lector; don’t use the references provided here without double-checking them. 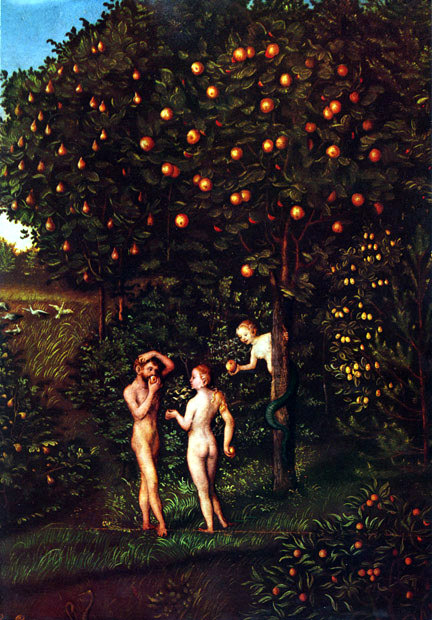 Section of Paradise by Lucas Cranach the Elder, 1530, depicting the biblical trees of life (left) and knowledge (right). 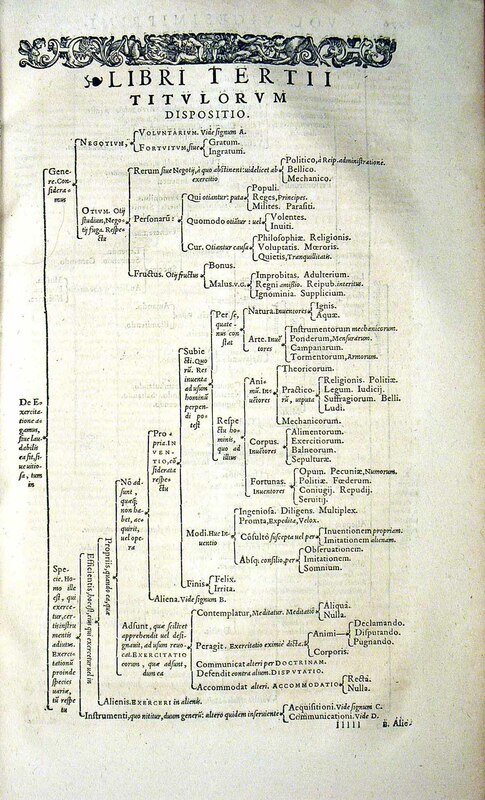 A genealogical depiction of descendancy from Jesse (father of king David) to Christ, and the origin of the “family tree”. 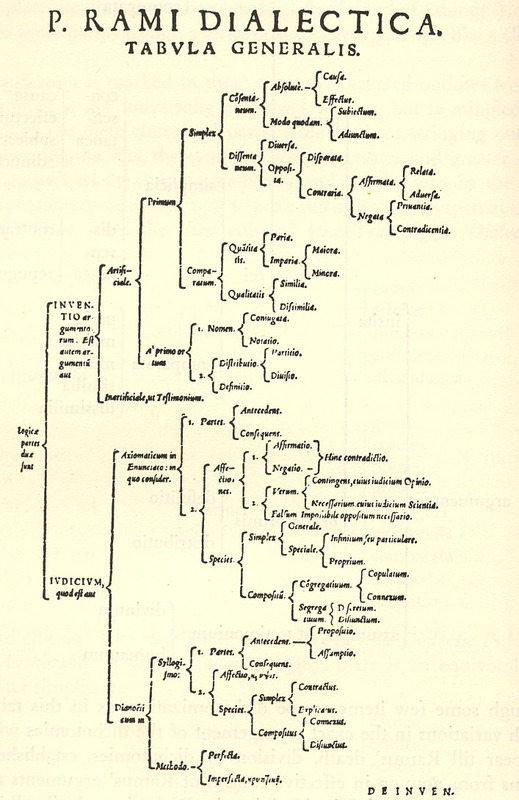 Porphyry classified Aristotle’s Categories into a series of branching dichotomies, a metaphorical tree, in the third century C.E. 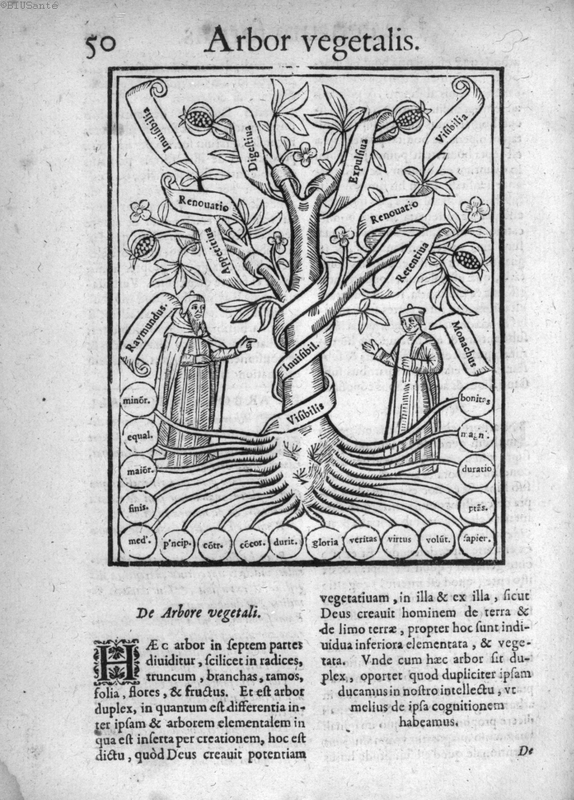 By the sixth century at the latest, the metaphorical tree was being illustrated as an actual tree in Latin editions. 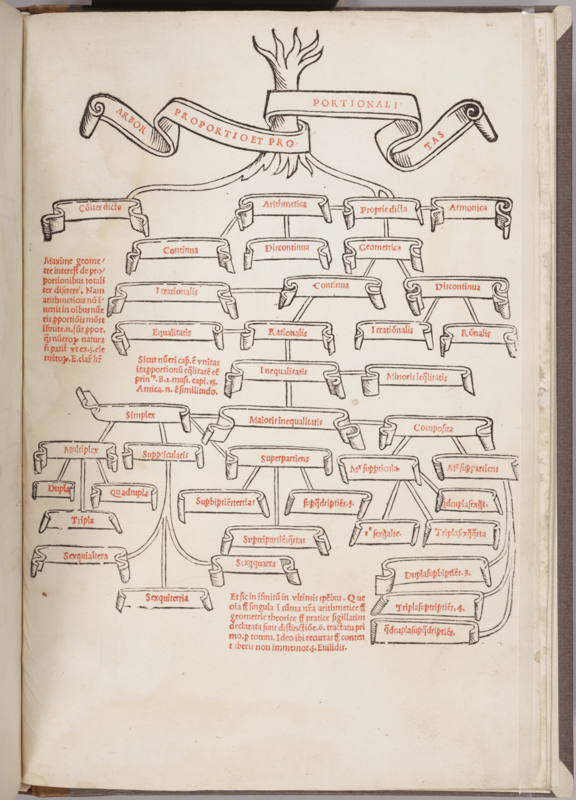 The first, an eleventh century manuscript from Italy, separating practical knowledge into ethics, economics, and politics. 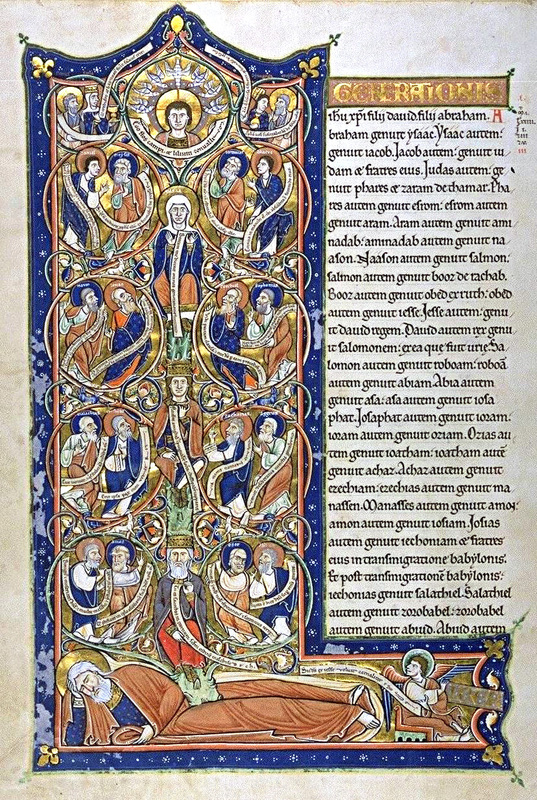 The second, a twelfth century manuscript separating philosophy into natural, ethical, and rational knowledge, which are each subdivided further. 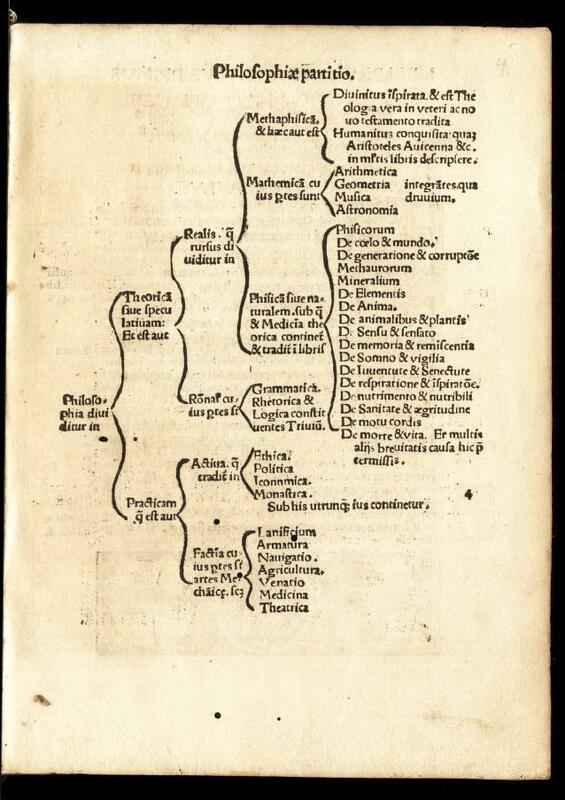 Grammar, rhetoric, logic/dialectic, arithmetic, geometry, music, and astronomy/astrology. 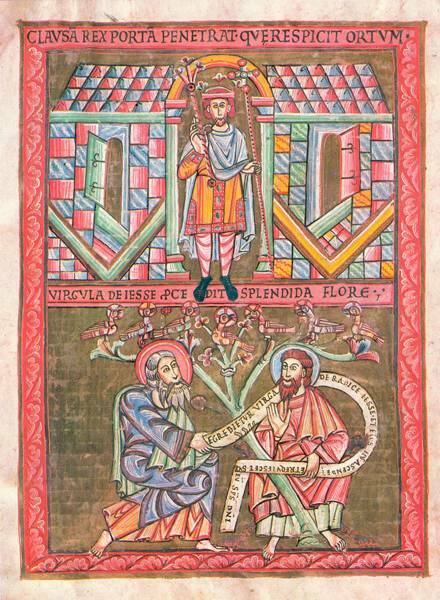 From the twelfth century Hortus Deliciarum. 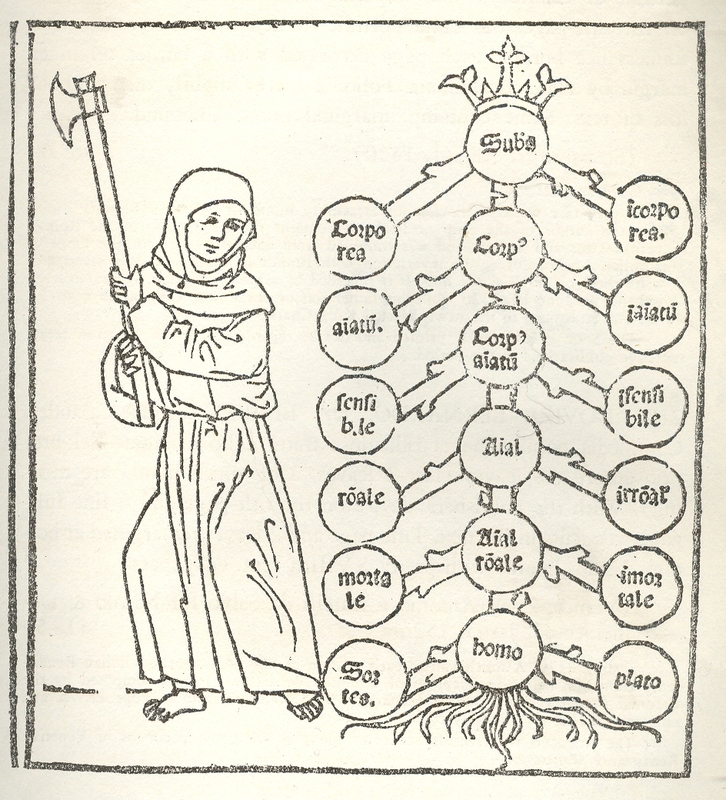 A thirteenth century philosopher and logician who created many diagrams of interest related to knowledge structures and trees. 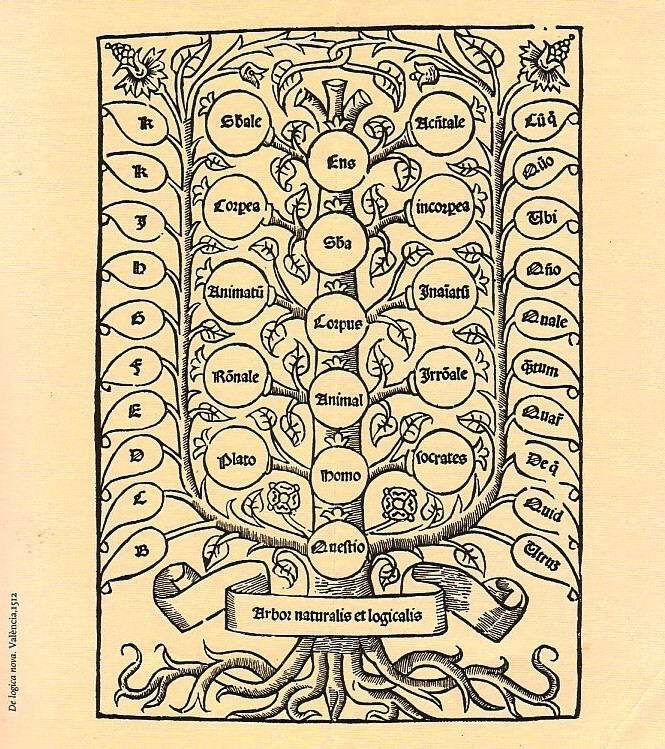 Llull’s late thirteenth century work actually contained 16 trees of knowledge, with each subject having its own root, trunk, and branches. 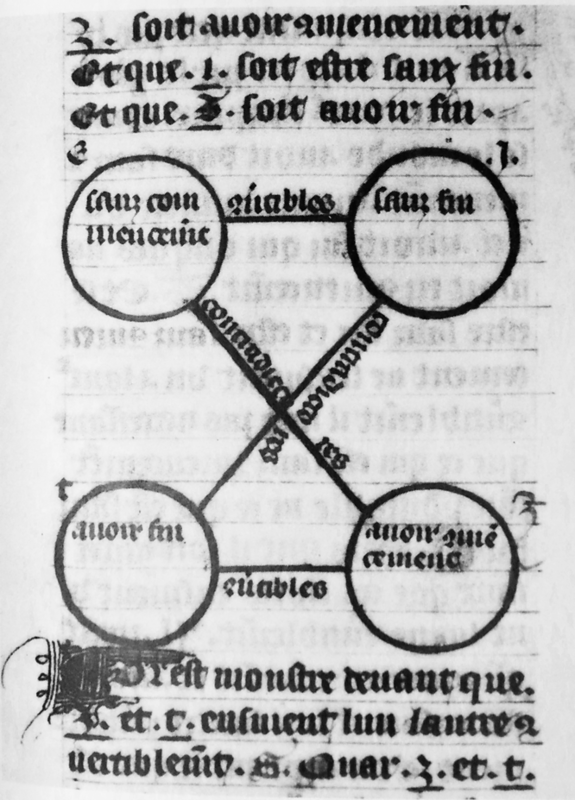 From Nicole Oresme’s late fourteenth century translation and commentary of Aristotle, opposing generable and ungenerable with corruptible and incorruptible. 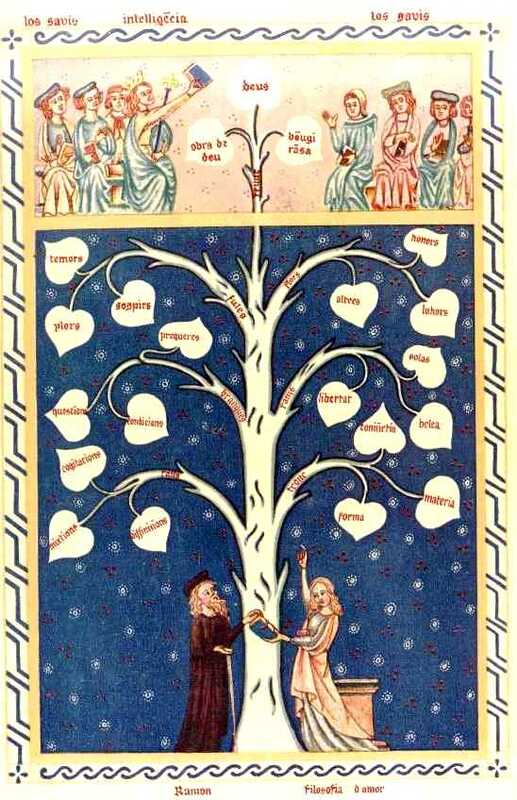 This fourteenth century dichotomy divides God into virtus (virtue) and scientia, from which the usual suspects branch out and divide further. 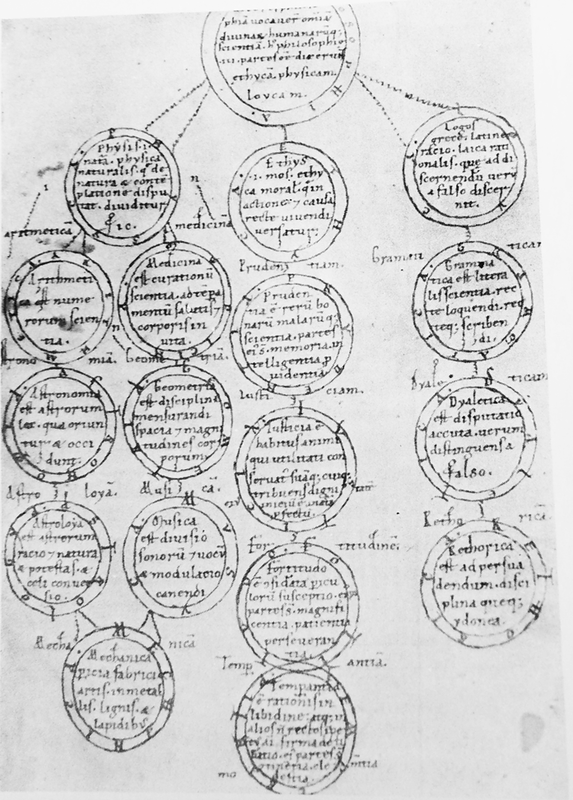 A division of the sciences from a fourteenth century manuscript. Sciencia divides into philosophy, eloquence, poetry, and mechanics, and further divides from there. 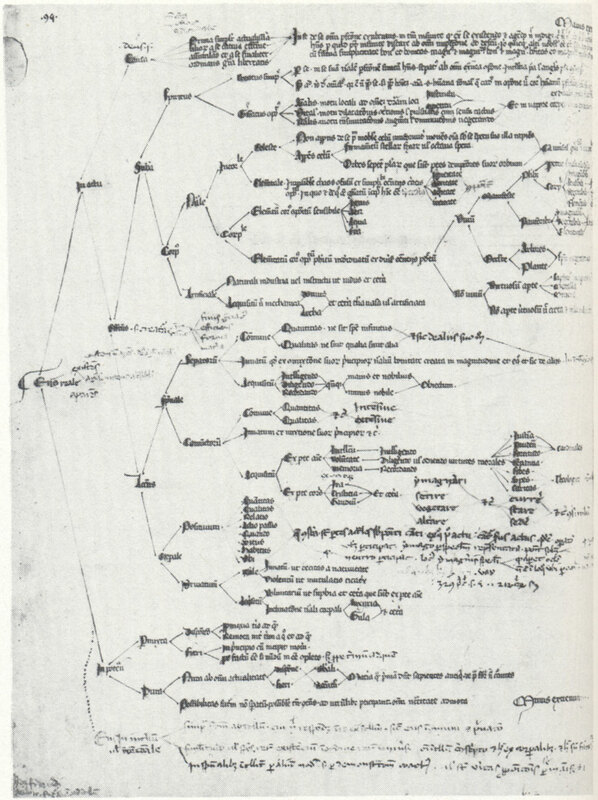 A fifteenth century student’s study aid, splitting mathematical knowledge into its constituent parts, under which the scribe scribbled relevant books of reference for each branch. 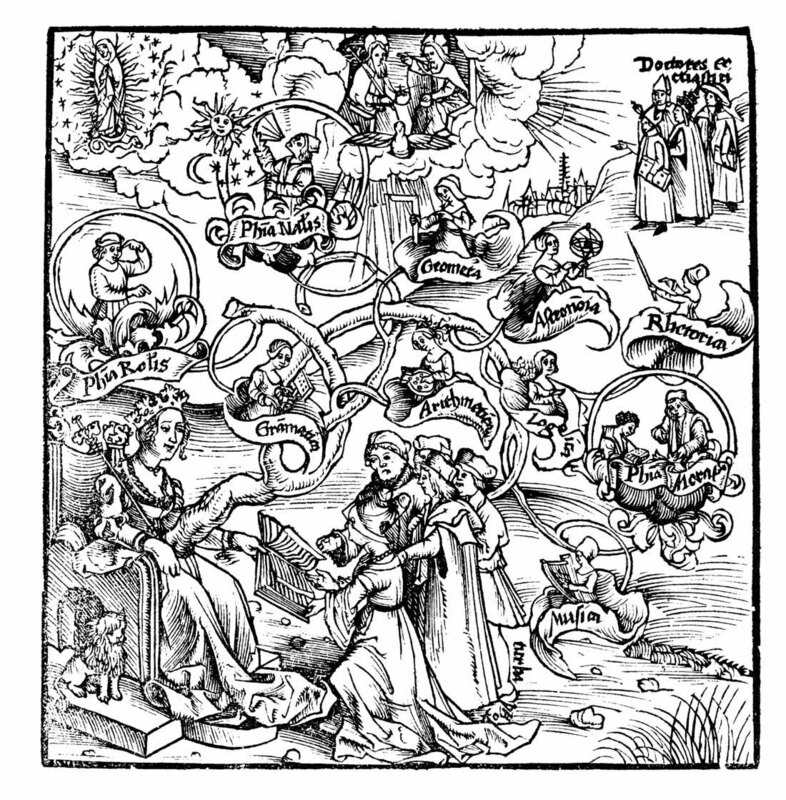 A sixteenth century humanist and logician, arguably representing the culmination of the medieval tradition of thinking in dichotomies. 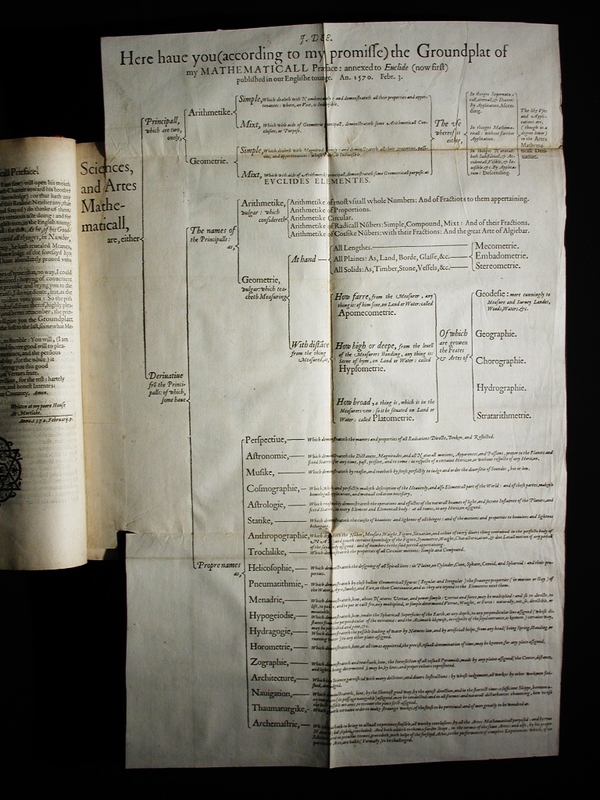 A textbook/encyclopedia from the sixteenth century by Gregor Reisch. 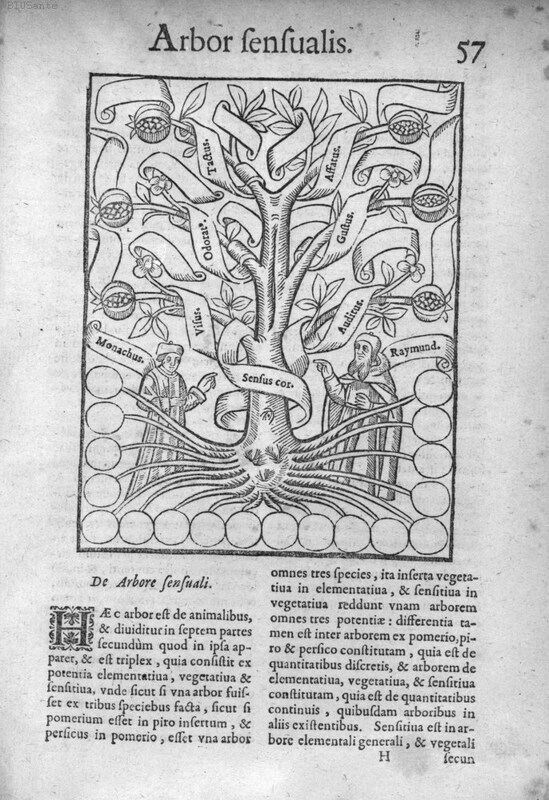 The book had many illustrations depicting the organization of knowledge within. 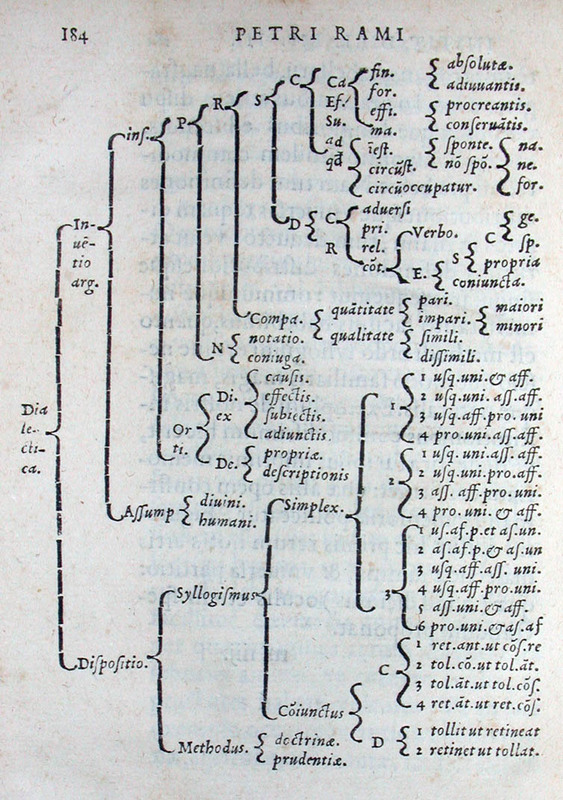 Zwinger’s sixteenth century encyclopedia Theatrum Humanae Vitae was organized into chapters, not in alphabetical order, but according to a diagram of a tree, as below. 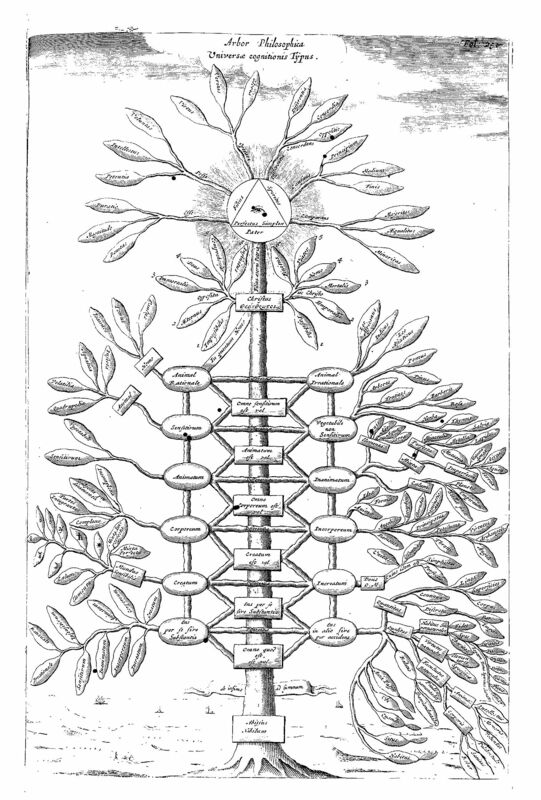 Kircher’s Philosophical tree representing all branches of knowledge, from Ars Magna Sciendi (1669), p. 251. The various classifications of knowledge in this time period are too numerous to list, however here are a few. The via links provide context. 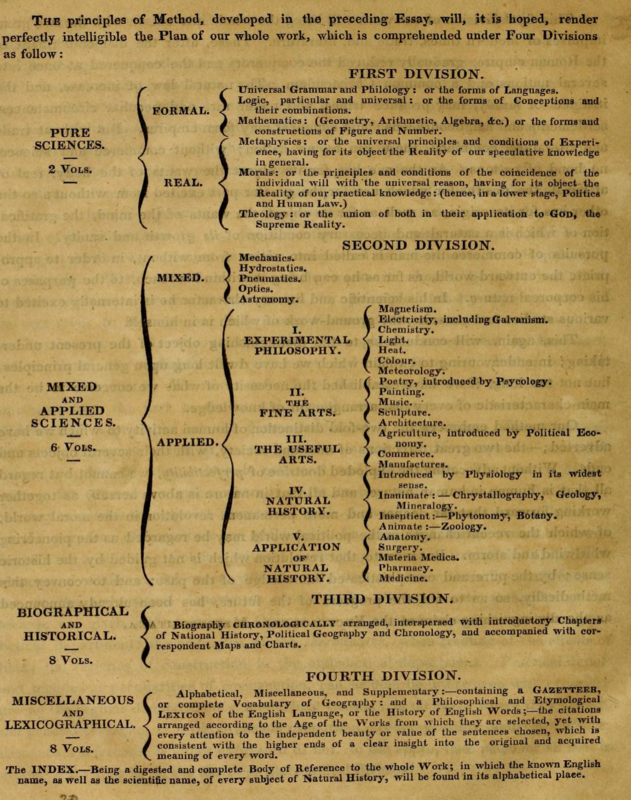 Though it should need no introduction, this late-eighteenth century encyclopedia by Diderot and d’Alembert included a map of the structure of knowledge held within. Below are a few versions of that map. 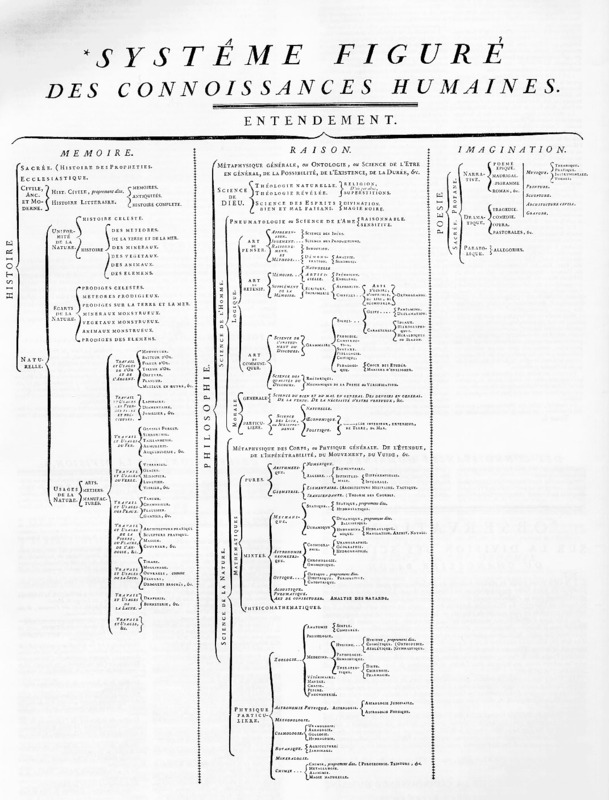 Samuel Taylor Coleridge tried his hand at an encyclopedia in the early nineteenth century, and this tree represented the organization of each volume. H.G. Wells describing how students ought to learn in 1938. 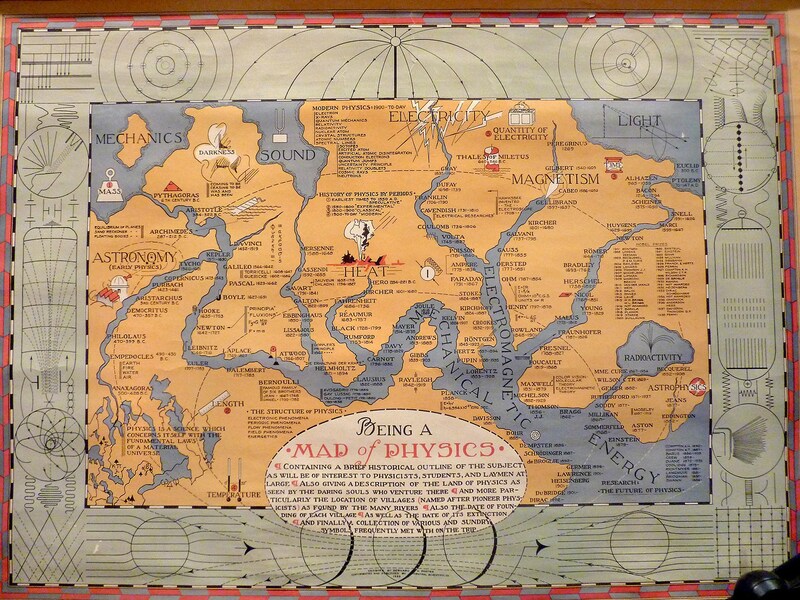 Bernard H. Porter’s Map of Physics, placed in a number of contemporary physics textbooks, 1939. Possibly you will fancy Sociology of Philosophies by Randall Collins. 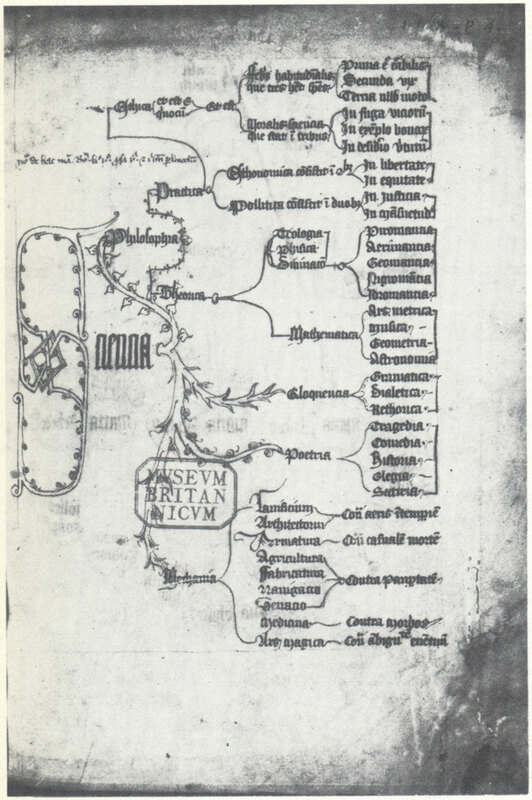 Have you ever thought of translating these in some visual language (keeping the proposed structures of knowledge) and then playing the entire sequence as a movie on a timeline? Oh, it stopped raning outside, great. Thanks for the tip, Vuk. I particularly like your 2nd idea: it would be interesting to see how the interplay between different parts changes over time, and whether some periods have some strong relationships that others don’t. 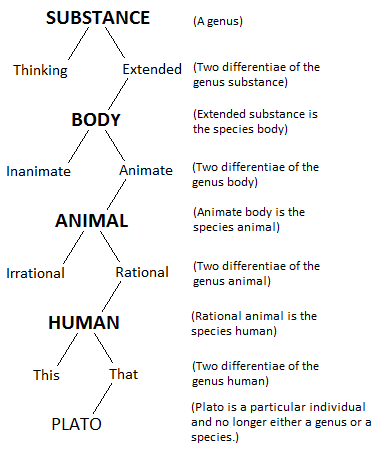 The one thing to watch out for is the changing meaning of the various disciplines (ie, what science means and used to mean, what philosophy means and used to mean, etc). Thanks! The evolution of classification of knowledge gives us the idea of development of metaphors we used to grasp external reality. Fun part should be the unfollowed tangents in this non-linear progression of diagramming knowledge. This is absolutely brilliant, thank you! John, that’s a great point. 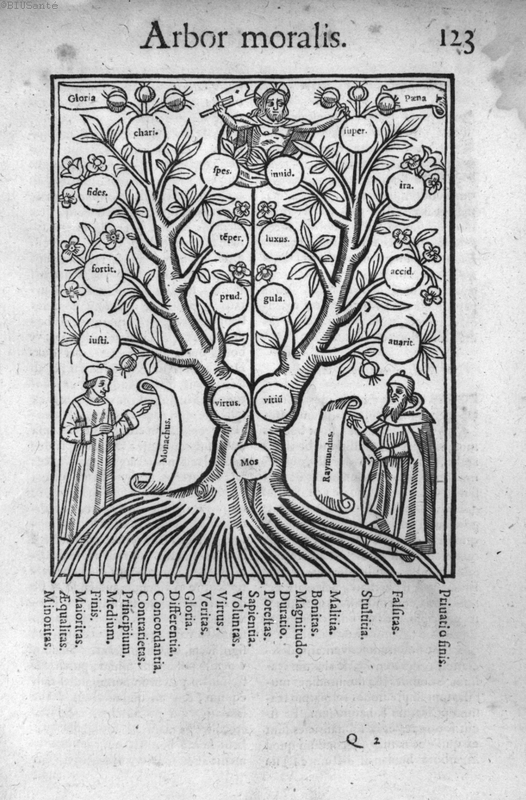 A lot of these trees of knowledge are rightly interpreted as genealogies rather than ontologies, and have a very temporal component hidden in the structure. Thanks for the link. Very interesting. Actually, I use the visualization of a tree to help entrepreneurs to build their project, from a vital point of view, particularly for creative people. http://praxxis.es/es/noticias/tipos/41. You could also include other library classifications like the Dewey Decimal Classification. 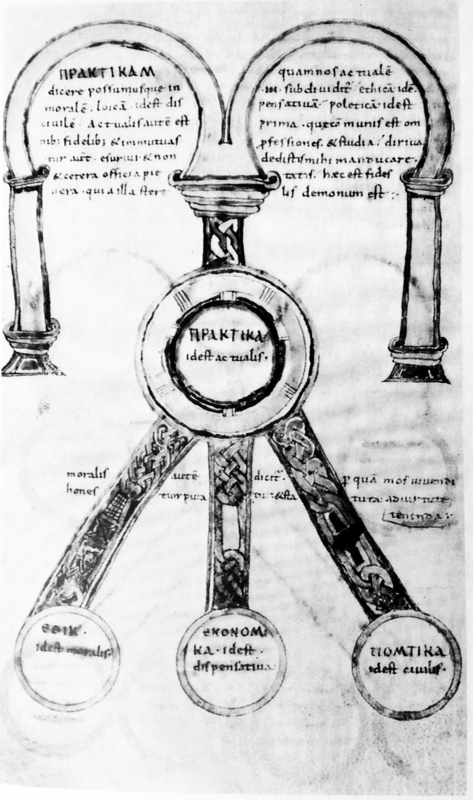 How about Paul Otlet’s Mundaneum? Wow, this is incredible, thank you! Do you have any suggestions for any resources to find more information? 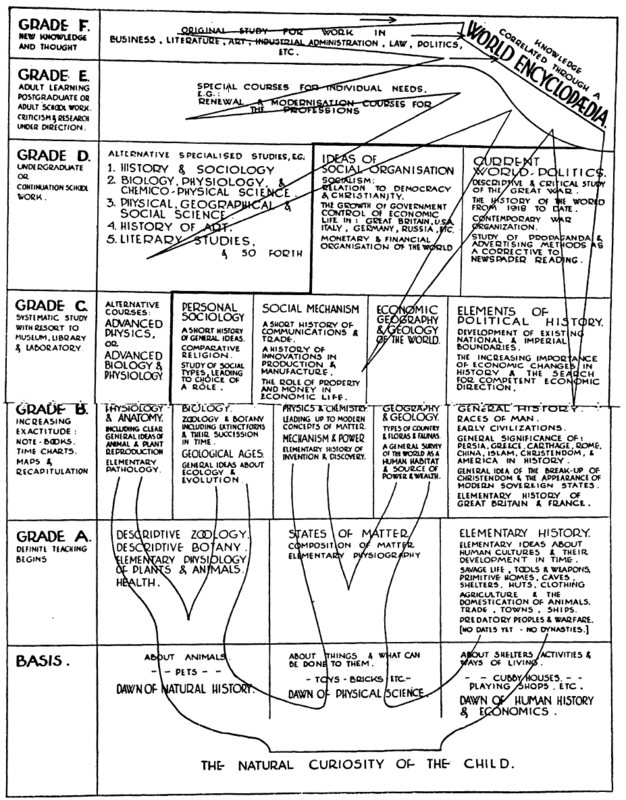 The International Baccalaureate Diploma Programme (IB) has its own diagram of its curricular framework: http://www.ibo.org/diploma/curriculum/ – this is for high school students. An interesting current application. Theory of Knowledge, by the way, is sort of an epistemology course, about ways of knowing, that both my kids, who took this curriculum, benefited from quite a bit. Enjoying your materials and approach. 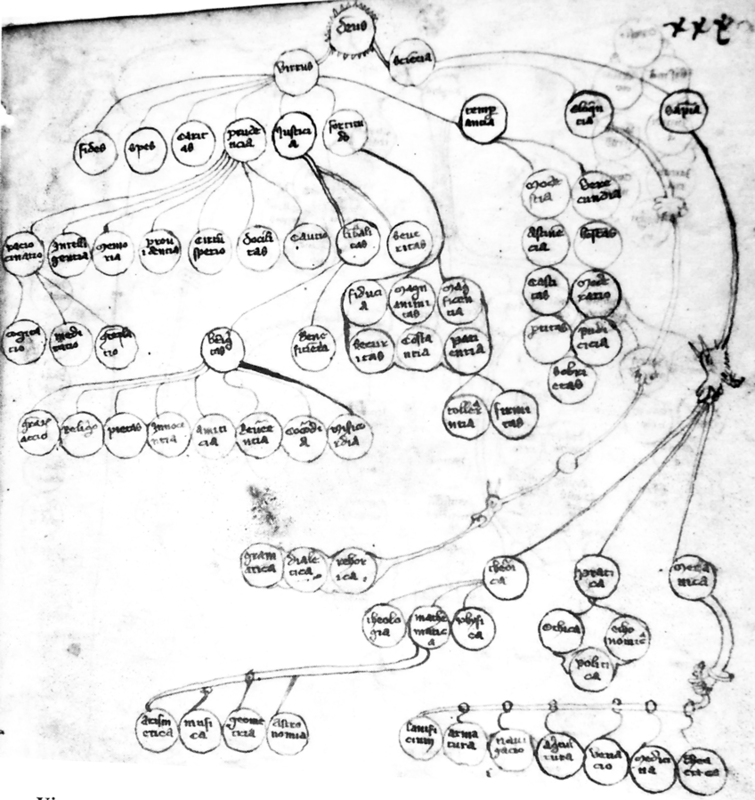 Have a look at my project on kabbalistic diagrams – http://ilanot.haifa.ac.il and feel free to be in touch! This is absolutely brilliant, many thanks for bringing your project to my attention. I probably will take you up on that offer soon. 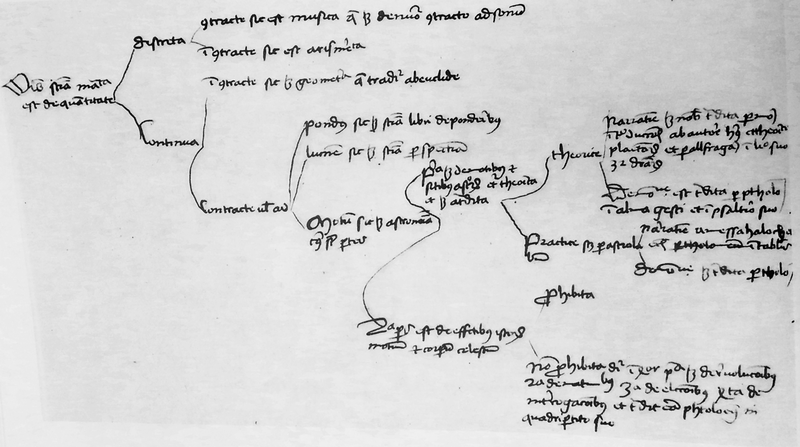 You might be interested in the links on my Boethius page to manuscripts containing the arbor porphyriana: http://www.piggin.net/stemmahist/boethiuscatalog.htm Briefly, the oldest evidence for the figure comes from Boethius, so we don’t know if Porphyry used it. 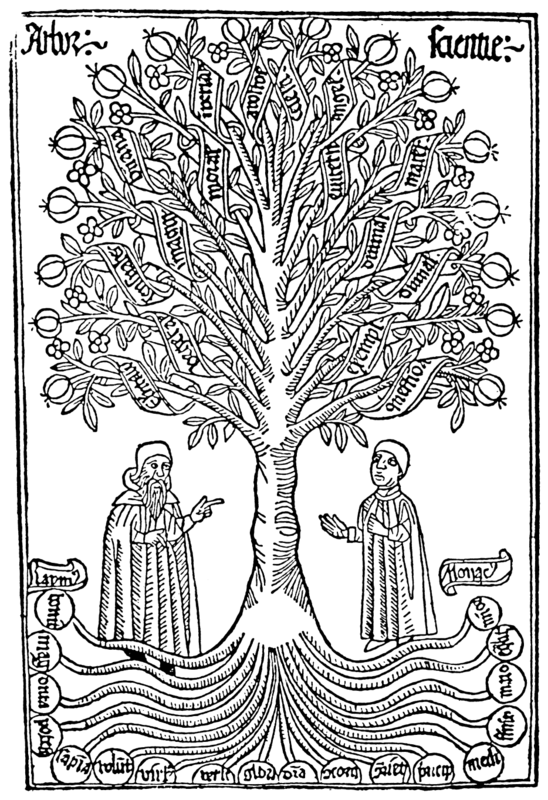 As for the idea that it resembles a tree, that’s a medieval spin to it. 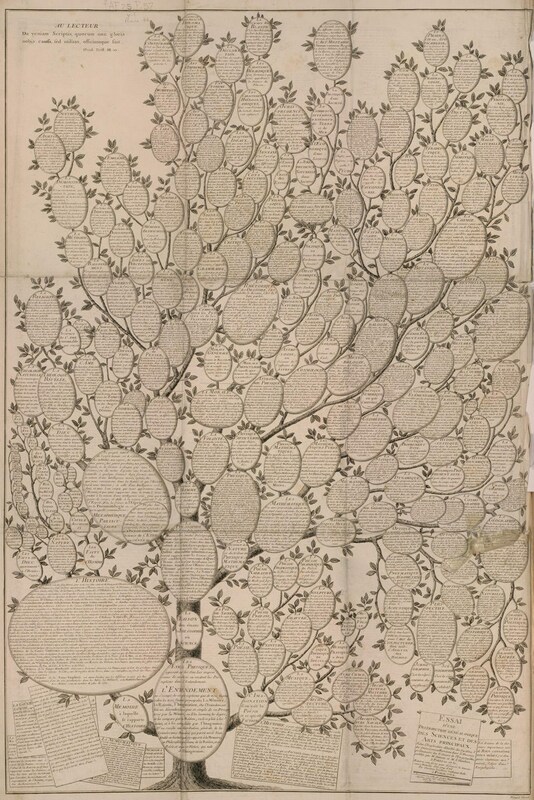 The early node-and-link diagrams are not arboreal at all.